31025 Jefferson @ 13 Mile Rd. 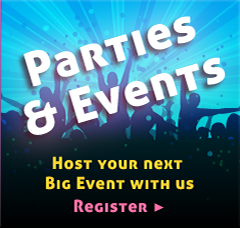 Call for information on Special Events, Fundraisers, and Birthday Parties. Join a league. It's a fun way to burn calories. Start your own weekly league. 16 people for your own club. We will show you how to get the league off the ground.